Über Lissabon zu einem nachhaltigen Europa? The transition to a sustainable development is a strategic aim of the EU. To this end, the European Council adopted during the meeting in Gothenburg 2001 a European Sustainable Development Strategy. The mid-term review of the strategy is scheduled for next year (2005). How has the European Sustainable Development Strategy performed so far? In this article, Ecologic analyses both the relation between the Sustainable Development Strategy and the Lisbon process as well as the weaknesses of the strategy, and suggests a way forward. The European Sustainable Development Strategy is closely intertwined with the Lisbon process. Originally only covering economic and social aspects, the Lisbon process also includes an environmental component since the European Council meeting in Gothenburg. As a result, the individual character of the strategy became blurred and is in danger of being dominated by the aims of the Lisbon process. Additionally, against the background of a new Commission appointment, a political environment has evolved that threatens to further weaken environmental interests. The weakness of the strategy is further highlighted by its design. The strategy consists of a number of documents and political intiatives and is thus difficult to pinpoint. Although the paragraphs of the Gothenburg Conclusions titled "A Sustainable Development Strategy" can be interpreted as the core of the strategy, they refer to at least two other environmental processes. Furthermore, the strategy does not follow a consistent, binding and strategic approach, and not all measures specify clear tasks and set deadlines for action. create institutional and procedural mechanisms similar to the economic and social pillars. Journal Article: Über Lissabon zu einem nachhaltigen Europa? Klasing, Anneke; Nils Meyer-Ohlendorf and Ingmar von Homeyer 2004: "Über Lissabon zu einem nachhaltigen Europa?". 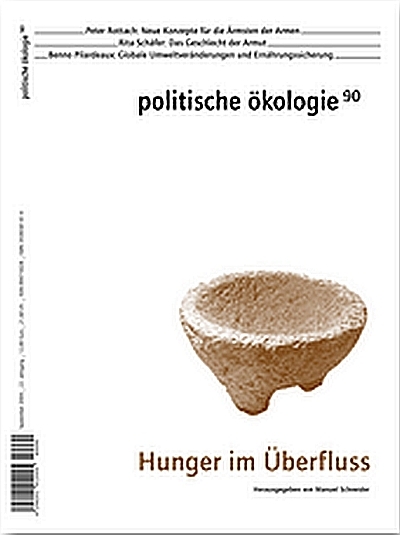 politische ökologie, Vol. 2004, No. 90, 74-75.